They immigrated to Canada from India in the mid-1960s in search of a better life – broader professional opportunity, wealth and comfort. Still unsatisfied, having attained many of the trappings of western life, they shifted their attention to metaphysical pursuits. Ironically, after coming to Canada, they discovered Maharishi Mahesh Yogi and Transcendental Meditation (TM). From before I can remember, my parents were devoted followers of Maharishi and avid practitioners of TM. They would frequently attend courses, seminars and lectures and eventually became certified teachers of his program. When I was 11, my parents decided to take their commitment to this lifestyle one step further. We picked up and moved to the world capital of the TM organization and Maharishi’s following in Fairfield, Iowa. 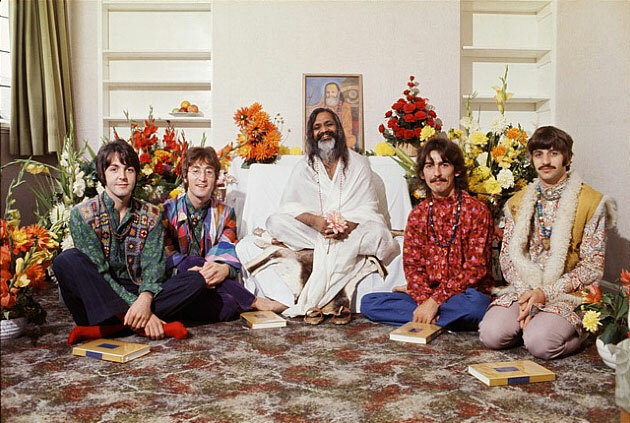 Maharishi had started a full-fledged university in the early ’70s. By the early ’80s the community had formed a K-12 school based on his teachings. My parents wanted my brother and I to get exposed to Indian “culture” and philosophical thought. They felt this school and community would be a great vehicle for that. After coming to Fairfield, we were a bit surprised to find that we were one of the few Indians in town. Most were transplant-former-hippies, flower children or native Iowans. A very eclectic mix. Growing up in Fairfield was unusual, but it was also tremendously enriching. It was a wonderful community of loving, open-minded individuals. The school also helped form a strong foundation / framework for looking at the world through a lens of spirituality, self-awareness and deep reflection. As nurturing as the environment was, by the time I hit my early twenties, I couldn’t wait to get out of town. I needed to experience something new, something different. I needed to search for, and find, the Truth for myself and by myself, without the aid of parents, teachers and community members. At age 24, I was given the opportunity to move to Minneapolis as part of a job transfer. I pounced on it. Finally, I was going to experience the “real” world. After moving to Minneapolis, I had a bit of culture shock. Wait, what? You don’t know what meditation or yoga is? (This is 1996 mind you). Most people were completely unfamiliar with Indian culture or eastern philosophical thought. This shouldn’t have surprised me, but it did, given where I was coming from. I didn’t realize how much emphasis people put on what school you went to, as if it defined your capability, potential and decision making abilities. This wore on me over the years, especially as I advanced in the corporate world. 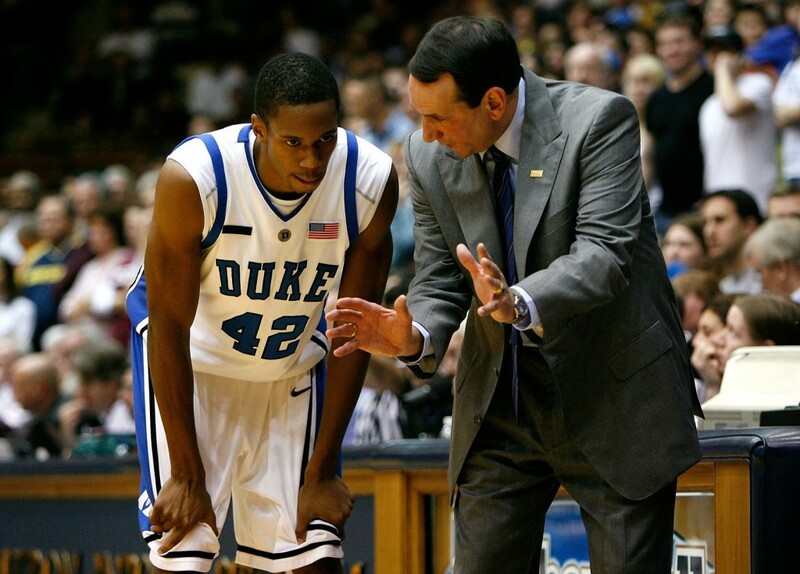 When I decided to enroll at Duke University for my MBA in 2006, I felt like I had finally gotten the “unknown-school-monkey” off my back. I went back to school to broaden my horizons and experience the joy of being in the classroom again. I had no specific career plans or any idea that it would help set the stage for my current entrepreneurial journey. I chose Duke because of their unique global format – there was nothing like it at the time. One and a half years, five residencies, seven countries, combined with distance learning and global team projects. We did this while keeping our full-time jobs! I drank from a fire hose like never before. We had our second child while I was in the program. All put together, it was intense, invigorating and exhausting. The thing that impressed me most about Duke was how incredibly concerned they were about the satisfaction of their students. Certainly, we were paying a lot of money to attend and they wanted to make sure we were happy, but they were very intentional about getting regular, detailed feedback about their program and how to make it better. Perhaps this is what makes Duke what it is. I was very fortunate to attend two outstanding schools – one relatively young, “new-age” school, ranked for its non-traditional approach to education, the other a well-known school reputed for its time-tested commitment to excellence. If you were to ask me about either of these schools, I would have only good things to say. Maharishi University helped launch my career as a software product developer, and Duke helped me transition into the field of management consulting and entrepreneurship. Both were critical to my professional and personal success. Yet, when people ask my advice about personal and / or professional development or “schooling”, I tend to bypass both of these fine institutions and point them to a little known school from the East Coast. A couple of years ago, an old friend called me out of the blue. He urged me to attend a workshop he had been a part of for many years. He said, “I really want you to experience this”. Of course, I resisted and gave him all the reasons why I couldn’t attend – didn’t have the time, money, etc. In actuality, I wasn’t really that interested, but I didn’t have the heart to tell him. That didn’t deter him. He was relentless. He wouldn’t let it go. He decided to hire me to do a Keyhubs project in his organization, which would cover the costs of travel and living, plus give me some much needed revenue. Keyhubs was my first priority and the workshop was a distant second, but I went, and went with an open mind. The workshop turned out to be one of, if not, the most transformative experiences of my life. It blew me away and was exactly what I needed at that moment. It was like nothing I had ever experienced before and it served as a vital catalyst for a major shift in my life, which I outlined in this blog post. Founded by Carole Kammen in 1986, the Pathways Institute combines experiential learning, with reflection, meditation, human connection and dance. Their workshop takes you on a journey into your own soul and the soul of others. It exposes the power of the heart, and the triumph of the human Spirit. I am not one to easily endorse a product, especially publicly. Yet, as far as I am concerned, they are the best kept secret in America. I often feel like I gained more in the 3 days I spent in this program, than I did in the 19 years I spent in school, college and graduate studies combined. To be clear, I am not a board member or investor in Pathways. I have no conflict of interest – I was simply an ordinary participant in their program. What separates the Pathways experience from other educational activities I have been a part of is the way in which they treat and deal with pain. As you know from my last blog post, pain is a central experience of humans everywhere. How we respond makes a difference in how we perform and show up in life. Pathways has created a one-of-a-kind vehicle for people to meet and face their pain head on and to move through it as if it is a portal – a pathway – to new vistas of love, passion and joy. They inspire people to live life fully, authentically and courageously. What they do is nothing short of masterful and no amount of words can do justice to the value they offer. It simply has to be experienced. There is a lot of emphasis these days on Edutech and disruptive forms of education such as Khan Academy and Coursera. Yes, technology and connectivity have changed the face of education. But, I wonder if what we really need is to change its heart and soul. Why didn’t I have this type of experience in my 19 years of formal schooling? How could I go so long without having this kind of insight and transformation? While we prepare our students for the rigors of corporate life, are we preparing them for the rigors of life as we know it? I tell this story because I have tasted a wide-range of educational modalities – from the non-traditional to the well-known. Yet, I cannot stop raving about an institution that most have never heard of and that I, myself, was resistant to experiencing. I am grateful that my friend did not give up on me. Sometimes our best finds in life happen on the path less traveled. Some of our greatest discoveries occur when we least expect it. Some of the most potent systems of learning do not show up on top 10 ranked lists or famous talk shows. These are the hidden gems – the diamonds in the rough. Pathways is one such gem, and I believe they just might be the future of education. Another wonderful blog post Vikas. Your experience fits in with the 70-20-10 model of education by locals Michael Lombardo and Robert Eichinger based an insight by Morgan McCall of the Center for Creative Leadership. They see that 10% of learning comes through courses and reading, 20% through people and 70% through tough jobs (life, for example). I will take a look at Pathways. Thanks for sharing. What a great story, Vikas! My wife and I stumbled across a story about the Maharishi School back in the 90’s. I was absolutely intrigued, but I guess not enough to find the wherewithal to move out there. I’ve heard of Pathways as well, but didn’t know much about it. Now you’ve got me really intrigued again. Thank you for posting this! Thanks for sharing your experience and posting this information – I hope you have a great workshop in July. Thank you Vikas, we will!